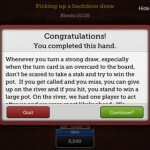 It takes more than an instant to become a poker pro, but thanks to Insta Poker, you can now know in an instant whether you’re making moves like one, and get rewarded for doing so. 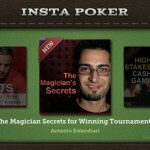 Available for free on the App Store, Insta Poker is the addictive new poker strategy game that challenges you to make the right move every time and rewards you with valuable in-app currency, called ProCoins, for making quality decisions, even if you don’t win the hand. Moreover, you receive instant feedback after each move from world-class poker pros, including Antonio Esfandiari, Huck Seed, Daniel O’Brien, Jonathan Little, Amir Lehavot and Matt Berkey. 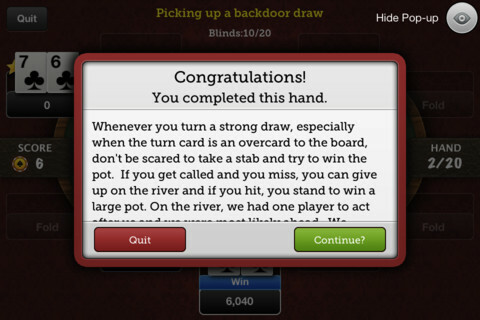 Poker hands on Insta Poker are packaged into Hand-Packs™, consisting of game scenarios crafted by poker pros and designed to demonstrate winning strategies. A free Hand-Pack authored by Matt Berkey and Daniel O’Brien gets you started with No-Limit Hold’em strategies for both cash games and deep-stack tournaments. 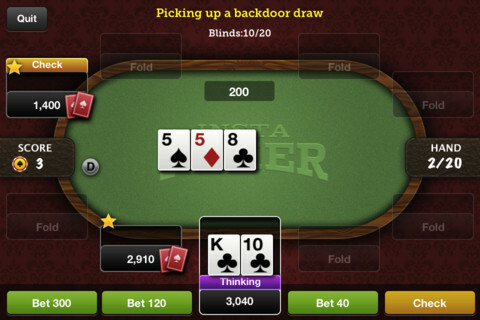 Additional Hand-Packs covering various aspects of No-Limit Hold’em — from low-stakes home games to major tournaments — are available through in-app purchase; each with a free hand preview. As you earn ProCoins for quality play, redeem them to unlock “Bonus Packs” to learn even more secrets of the pros. 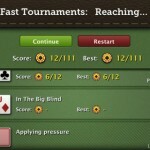 As in live poker, every decision on Insta Poker requires logic, skill and just the right amount of aggression. Make the “Best Move,” and you are awarded +3 ProCoins. 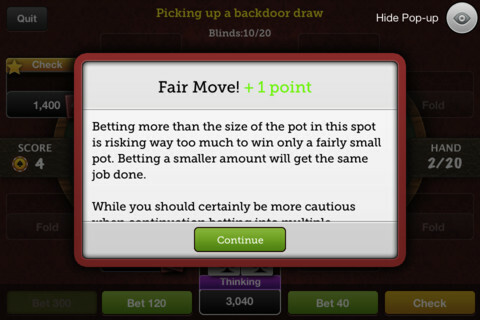 Make a “Good Move” or “Fair Move” and you’ll earn +2 or +1 ProCoins, respectively. Make a “Bad Move,” and well, no points for you, but you will earn the advice of the pro, who will explain why it was the wrong decision and his thought process behind making the right one. 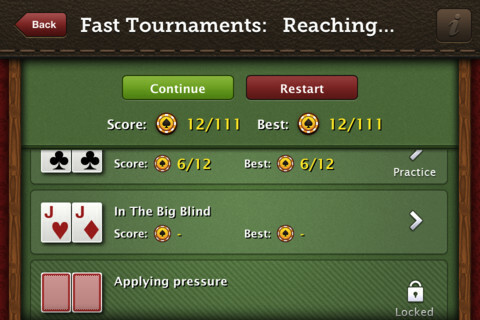 The goal of each Hand-Pack is to score a perfect +3 ProCoins on every move of every hand. 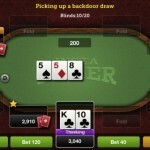 Do so, and you’ll be fast on your way to mastering No-Limit Hold ‘em and outplaying your opponents at the poker table, whether in your home game or the World Series in Las Vegas. It’s your move. Make it the right one. 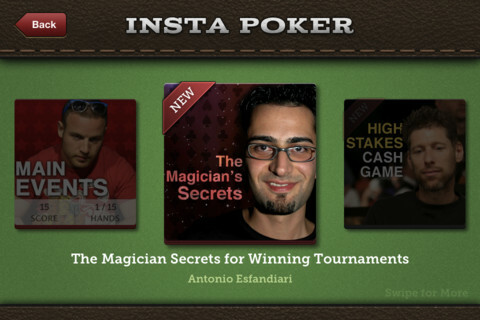 Download Insta Poker now and start learning how to master every move like a pro.